Outdoor spaces speak to us in ways that interiors just don’t have the language to do. Some projects try to bring nature inside. This project took home into the yard. It wanted to be a home within a home, just in the open air. The backyard is big with a fairly steep slope, but that didn’t reduce its potential for being a really amazing place to enjoy nature. One of the driving factors for the design was to create a space that had variety of both plants and materials, but didn’t require huge amounts of maintenance. The owner likes to do the yard work and didn’t feel a really deep dive into gardening would work. Likewise, they wanted to have multiple areas or rooms in the backyard for entertaining and sports. 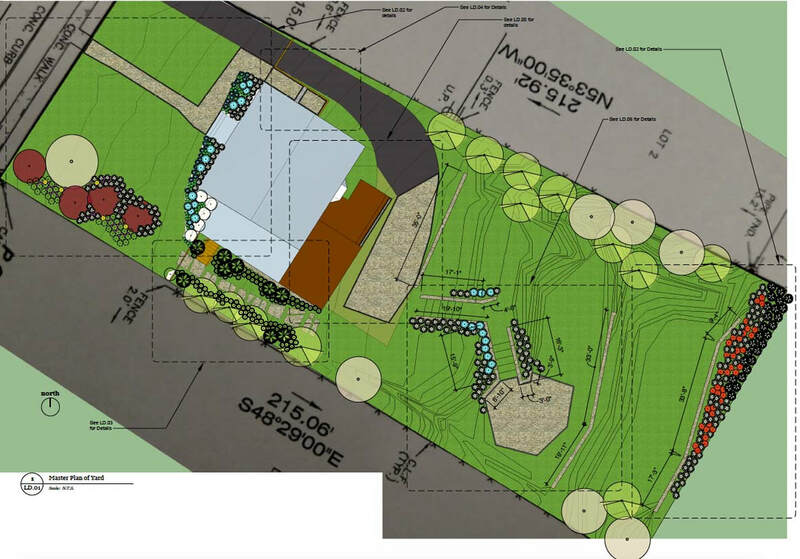 The final design creates a division between the driveway that terminates behind the house and the where the slope of the backyard starts. From there, we created a series of steel riser steps that lead to a sizable (but modest) platform that can contain dining furniture or a firepit (depending on the season). From there, we created two other tiers in the yard. 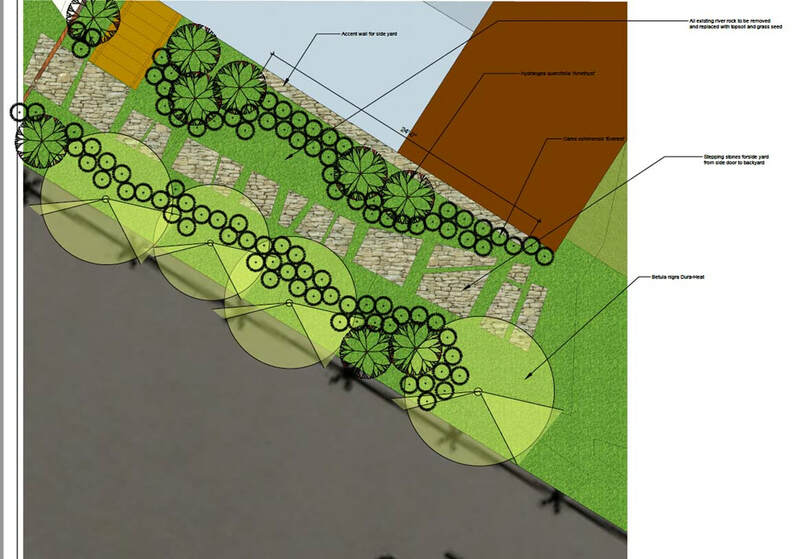 One of the tiers is against the property boundary and is planted with shade/water-loving plants. 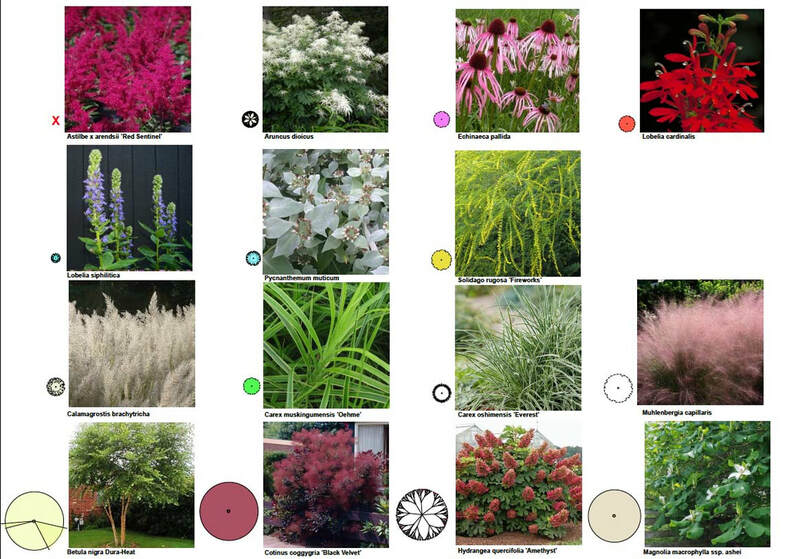 During most of the year, these plants will offer stormwater management as well as privacy. Along north side of the property, we selected two trees that would also offer screening from neighboring houses.